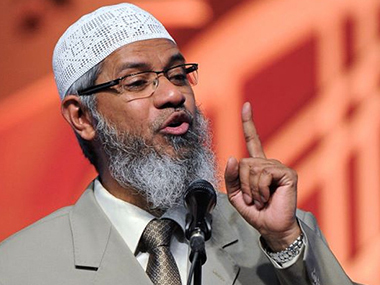 All India Ulama &Mashaikh Board [AIUMB] has advised Dr Zakir Naik to come clean on allegations of influencing Muslim minds through his speeches. 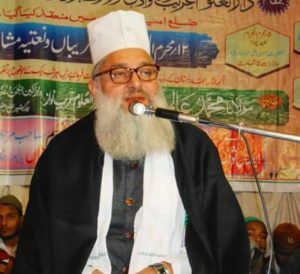 President and founder of All India Ulama &Mashaikh Board Syed Mohammad Ashraf Kichhouchhawi has today said here in a statement that Dr Zakir Naik should come forward to face the allegations and put forward his stand so that he is able to clear the air on his speeches, Islamic Research Foundation and Peace TV broadcasts. He said that allegations against Peace TV showing objectionable materials has been coming to fore for several years. On occasions Zakir Naik has been barred from speaking in public and also demonstrations are held against his public appearance and speeches so it becomes more necessary for him to keep the record clear. The government of Bangladesh has informed Ministry of Home in India about the statement of a suspect of Holy Artisan terror attack that he was influenced by Naik. This is serious allegation and corroborates the demand of Indian community to ban Zakir Naik, his Islamic Research Foundation and Peace TV. This question can also be asked that why Indian Salafis and Wahhabis did utter no word against the suicide bombing near Prophets Mosque [ Masjid E Nabwi ] in Madina Monawwarah of KSA, one of the holiest sites of Islam on the last day of Muslim fasting month Ramadan this year. That was a big crime committed by a suicide bomber because it was not only terror but also an act of sacrilege of Prophet and the religion. Ideally it would have followed Tsunami of protests but a studied silence comes to say we are not serious in facing the dangers of terror anywhere. These are the forces that have been showing disrespect to holy places in Iraq and Syria and other Muslim countries for several years and not have been condemned by so called mainstream Muslim individuals and organizations. All those who did chose to protest against the steps taken against Zakir Naik must ponder whether stand taken by them is close to sense of justice and according to the established social norms. Salafism, as propagated by Zakir Naik, goes against the basics of Islam, which preaches peace for all. Zakir Naik should have done better service of Islam, if he would have chosen to be true on issues like terror, Osama, suicide bombing, Status of women in Islam etc, that create question mark on his preaching. According to AIUMB president this is the high time Zakir Naik should explain his conduct and preaching. Although we don’t support the idea of the Media Trail and would like the Indian Government to take immediate action and close this issue to be dragged on Television any longer. We are giving useless coverage to him and his likes. Intelligence agencies should come in action and look into the matter and ban him from preaching here in India. In Our effort to ban Zakir Naik and his extremist Wahabi Promotion in India we request everyone to please Sign this Online Petition against him. There is a strong support on Social Media for Zakir Naik. We also have to show our concern and Protest against him. All India Ulama and Mashaikh Board strongly request to sign this Petition from the below Link. You can also share it on Social Media for further sharing.